It does not matter how we describe it: mathematics learning difficulties; digit dyslexia; arithmetic learning disabilities… there is a phenomenon affecting an estimated 5% of the population. They have difficulty learning and remembering arithmetic facts. They have problems solving problems that involve calculation. The problem these people encounter with numbers is often masked by another difficulty – for example dyslexia. What is dyscalculia? Well, there is a wealth of information out there explaining what it is (and isn’t). Good places to start might be the British Dyslexia Association whose website has a section for dyscalculia – it is widely acknowledged that many dyslexics do have dyscalculia. It is worth noting that there is no causal connection between these two. There is, however, a strong connection between students displaying dyscalculia and (maths) anxiety – this should not come as a surprise. Look also at dyscalculia specific organisations such as DyslexiaScotland.org.uk or the Dyscalculia Information Centre. As a mathematics teacher I need to recognise that I will come across my share of dyscalculics. 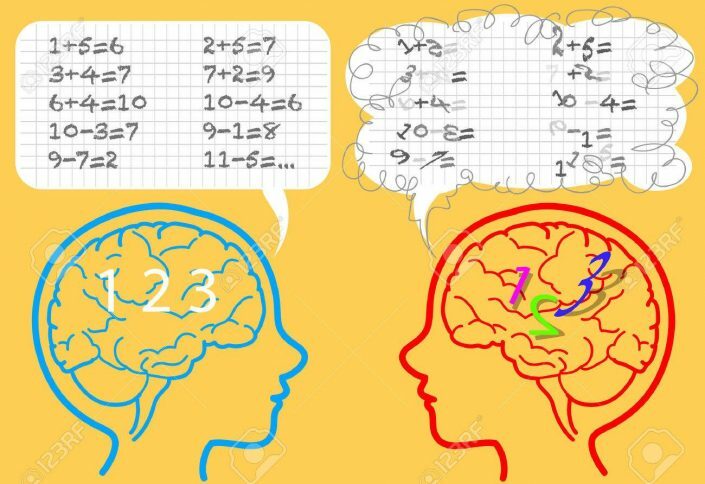 Just because a student seems distant, anxious or even lazy, has poor attention, or just generally bad a maths, does not mean that they are dyscalculics – but these traits might mask dyscalculia, some of them may be learned ways that the student copes with their difficulty. It means of course that I have to be very sensitive to these students’ needs and to quietly investigate their computational and processing skills. Dyscalculia cannot be cured, you do not grow out of it. But, it can be managed, skill sets can be improved, strategies can be learned, attention and working memory can be developed, anxiety can be relieved. It is my job to ensure that students are given back their sense of number, to correct a poor concept of number, to start to acquire in a concrete way those foundation blocks that all other concepts are built upon. This is not, cannot be, a quick fix. Intervention is not about helping out with homework or repeating lessons on a 1 to 1 basis with a student. It is about identifying the mathematical connections that the student does not have, working to build factual blocks that will allow more cumulative skills to be learned. It could be slow – it will depend when intervention starts. As I build my awareness of this learning difficulty, my experience of working in 1 to 1 relationship with dyscalculics, and evaluate the success of my intervention, I aim to post occasional updates on my reflections and discoveries. In the UKEdMag of October 2016 Kara Collins (@karadubai28) wrote a short and thoughtful article titled: ‘I’m rubbish at Maths’ How personal experience can influence teaching. This is very honest reflection of early experience when faced with a maths challenge. Is this a kind of maths ‘anxiety’ or phobia? Where does it come from? How does it become such a difficulty? An AHT once said to me, when discussing a colleague, ‘There are people who teach maths and there are mathematicians.’ The person we were talking about was indeed a mathematician of the highest calibre, but it also made me reflect on my own experience. I am a definitely a ‘maths teacher’ and not a mathematician, but I have a love for maths and the challenges that finding solutions present. In many western countries there is a tacit anti-maths view. Failure in mathematics is deemed acceptable in adulthood. 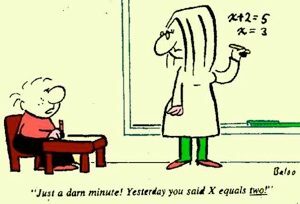 Parents, and some teachers, will make remarks such as: ‘I was always bad at maths.’ ‘This is really hard.’ The remark is often accompanied by a laugh. Often this is in the context of basic numeracy in the first few years of school. As a result children may receive confusing signals. 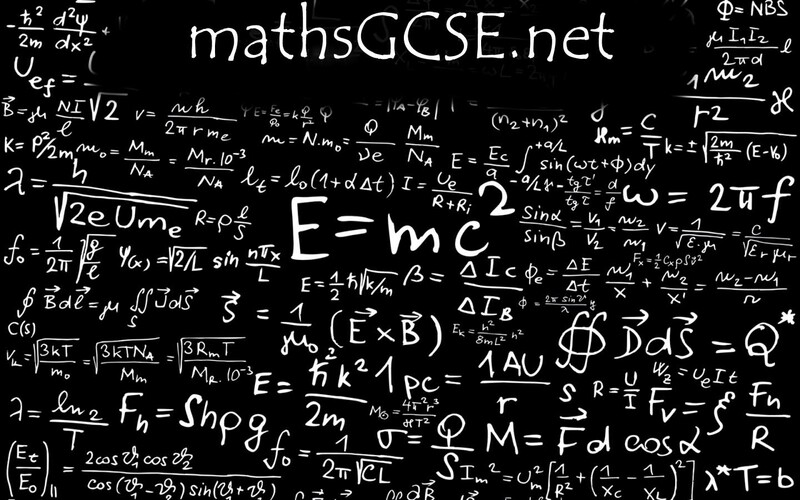 The subliminal message is that maths is so hard even mum and dad find it difficult, and maths doesn’t really matter. And this is the difficulty we, as teachers of maths, encounter. Maths anxiety is defined as a feeling of tension and worry that interferes with the manipulation of numbers and the solving of mathematical problems in everyday situations – not just in the classroom. It’s a debilitating emotional reaction to solving problems involving numeracy. The old wives’ tale, or a much-retweeted factoid, that if you say (or hear) something often enough you will start to believe it applies here. What’s known as the Illusory Truth Effect is the idea that if you repeat something often enough, people will slowly start to believe it’s true. And the effect is much stronger than we imagine. The steady drip, drip, drip that maths is difficult, doesn’t matter… will eventually convince perfectly capable student that this is, in fact the case. How do we combat this? A number of times I have tweeted about culture in the classroom, about the positives of peer-to-peer work, of in-class marking and feedback, of the need to constantly build numeracy confidence. Confidence boosting is a vital and sometimes missing ingredient in many maths classrooms. As HoD I always elect to be timetabled with the lower ability groups because one of my prime concerns is the stream of students who will walk into the department that first week in September and say, ‘I’m rubbish at maths.’ Sometimes it is interesting to explore where this mindset has come from, but from the first minute in the classroom the primary objective is to reverse it. We attempt to measure progress in a variety of ways. End of term reports sometimes end up being lists of achievement, and this has its place, but other mentions about attitudinal or emotional challenges met and mastered are equally important. For me the autumn term is more about whether students end up at Christmas with a changed attitude, a raised level of confidence and the realisation that maths isn’t hard, that it does matter and they needn’t by anxious about walking through my door. Put these things in a report and, together with the change of heart about maths visible in their children, maybe parents will also start to realise that maths isn’t hard.